10am show – Gina will be bringing kits and looms to make Teneriffe Lace. Here is a little sneaky peek at some of my show samples. 3pm show – Gina will be showing us how to make vintage thread wrapped and ring buttons. There will also be some little journal kits. I will reveal more of my samples over the next few days x. 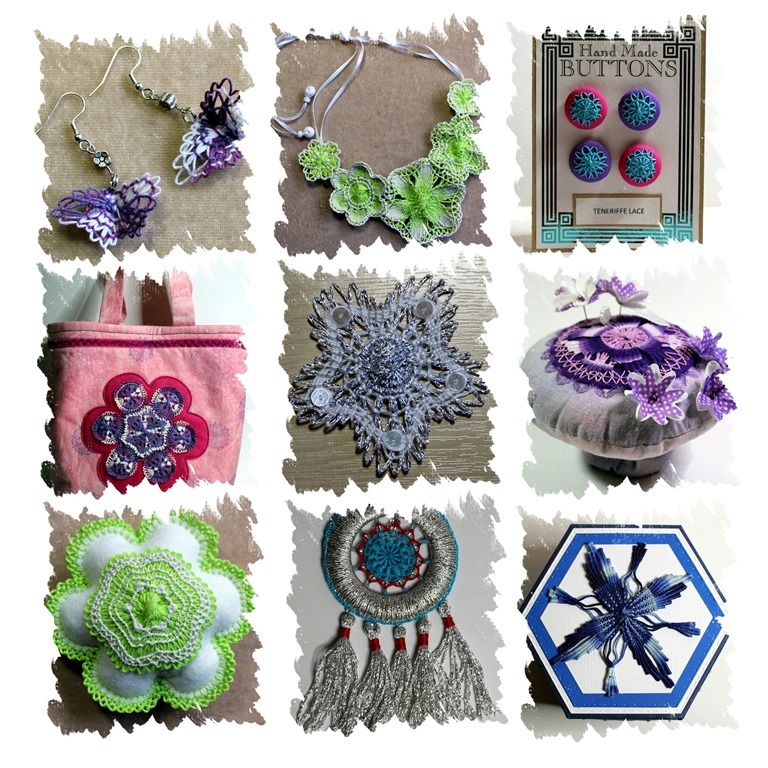 This entry was posted in Bag Making, Gina-B-Silkworks, Hand Made Bags, Hochanda, Home Decor, Lace, Mixed Media, Sewing, Tonic and tagged Anne Waller, Buttons, Gina Barrett, Gina-B-Silkworks, Heatherwell Designs, Passementerie, Teneriffe Lace by annewaller. Bookmark the permalink.